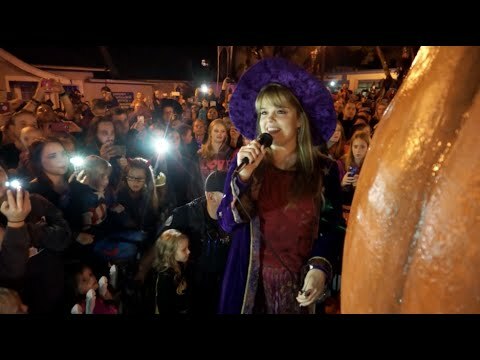 The following that there is a lot of support and interest from an audience in another Halloweentown movie (provided that Kimberly J. Brown is Marnie of course): "5,000 people usually turn up here at the busiest time of year - in July. Tonight (Oct. 10), there were 10,000 people"
There is so much that they could do with the series were they to continue the story. They were actually supposed to do a 5th, titled Halloweentown: She's the Witch, which would have wrapped up the series with Marnie becoming a fully powered witch and tying up the plot of the amulet at the end of the 4th. The mega successes of Maleficent and Frozen have proven that the fantasy genre (especially that with a female protagonist) is still popular. Kimberly and the cast being older actually works well for the story too considering the audience that grew up with the movies is around the same age now too. That tactic has worked for Girl Meets World, which successfully brought back both the old audience who grew up with Boy Meets World as well as a new audience, both groups of which enjoy the old and new cast and elements featured in the show. That show is now probably the most successful currently on Disney Channel and arguably one of its most popular sitcoms in history. The same kind of success could happen with Halloweentown should they choose to pursue it.